A reader suggested I take a photo of this kinetic sculpture that is sitting over (and in) a fountain next to the Peace Center. It is my understand that this artwork is temporary for 2010 Architecture Month. There is an article, in the Greenville News, titled Clemson students’ Peace Center sculpture celebrates architecture .. 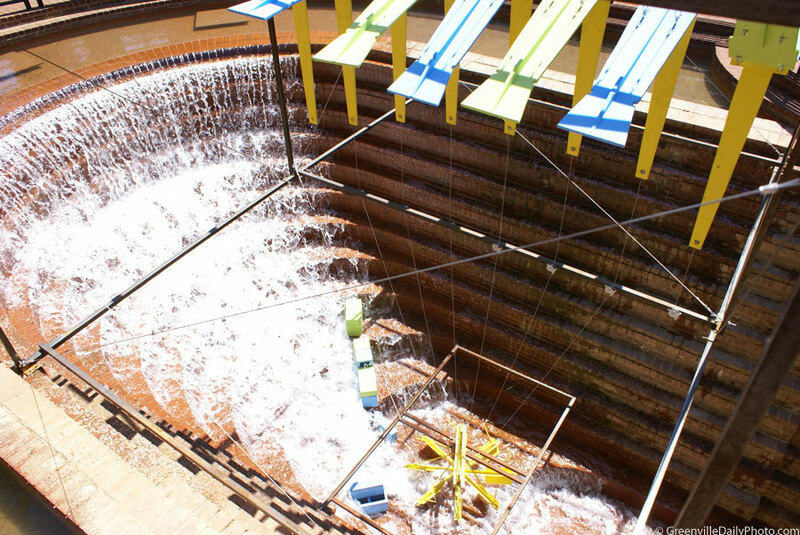 The water powers the art suspended above the fountain.